Product description: The Best of Sudeep Nagarkar (Box Set) is written by Sudeep nagarkar and published by Metro reads. 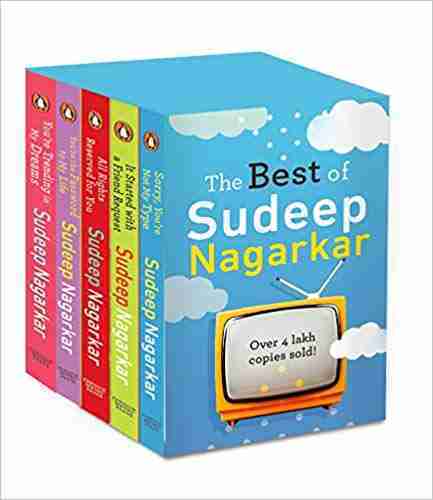 Buy The Best of Sudeep Nagarkar (Box Set) by Sudeep nagarkar from markmybook.com. An online bokstore for all kind of fiction, non fiction books and novels of English, Hindi & other Indian Languages. You’re The Password to My Life. You're trending in my dreams. From break-ups to make ups, from friendship to affection, from infatuation to love, these five beautifully crafted love stories explore a range of complex human behaviours and emotions. Written by bestselling author Sudeep Nagarkar, they will not only warm your heart but also make you believe in love like never before.